I hope this Purple Bed isn't a People Eater disguised as a mattress. Because it sounds too good to be true. Both soft and firm in all the right spots. Temperature neutral, so it won't absorb heat and make you cold, or absorb heat and then push it back out to make you hot. Holds its shape rather than indenting over time. All of which make me wonder if there isn't a one-eye, one-horned flyin' Purple monster hiding in there too. 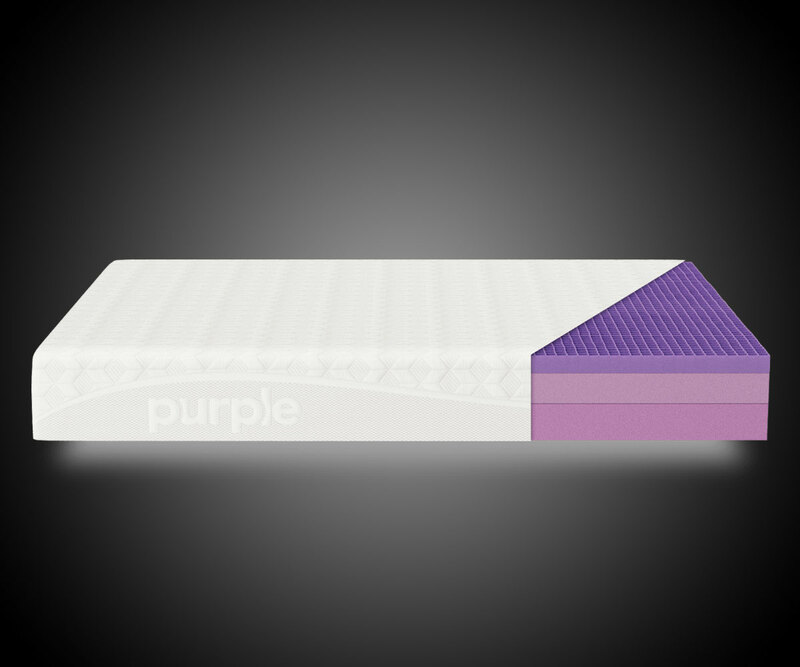 The Purple Bed follows Purple founders' Tony and Terry Pearce's first foray into the colorful world of flexible polymer waffles - the Royal Purple no-pressure seat cushion. 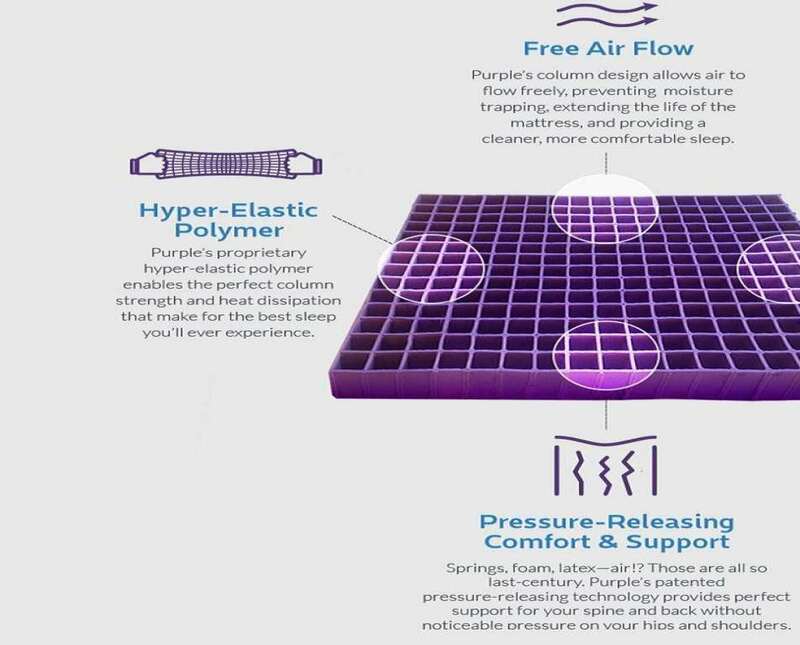 They demonstrated their cushions' ability to make you feel like you're sitting on air with a video of a dude sitting on an egg placed on top of a Purple. Spoiler: the egg didn't break. The same materials and concept went into the creation of the Purple Bed. 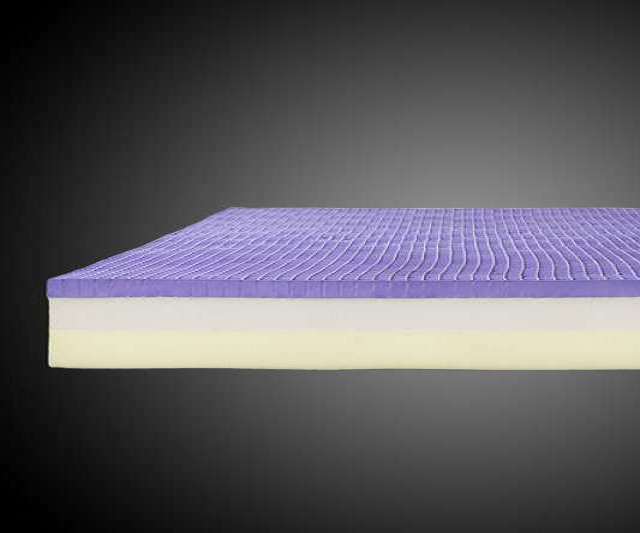 Purple mattresses claim to defy Newton's Third Law with their unique - and heavy - material composition, a Hyper-elastic polymer Smart-Comfort Grid on top, supported by 2 layers of green, chemical-free foam. All Purple manufacturing products are recycled and contain no toxic chemicals. Purple even calls them "food grade." The mattresses come in sizes Twin XL, Queen, King, and California King. 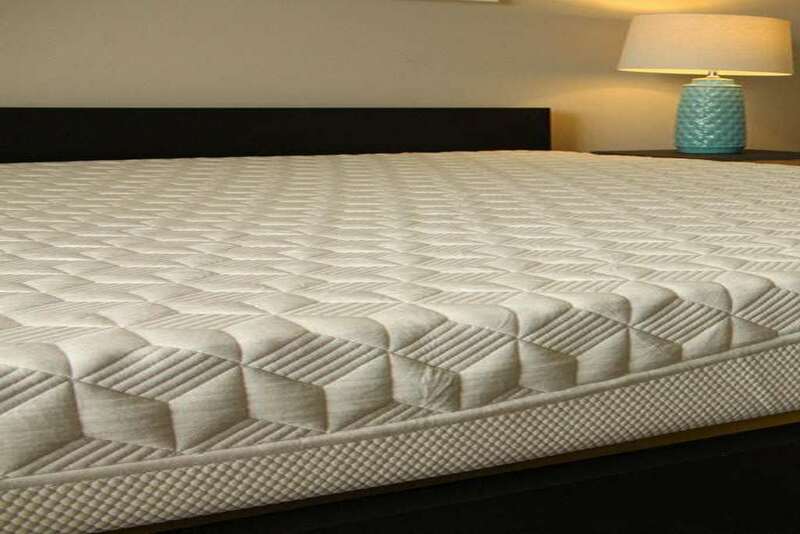 They're not cheap, cheap, but they will set you a good chunk less than a Tempur-Pedic or Sleep Number. 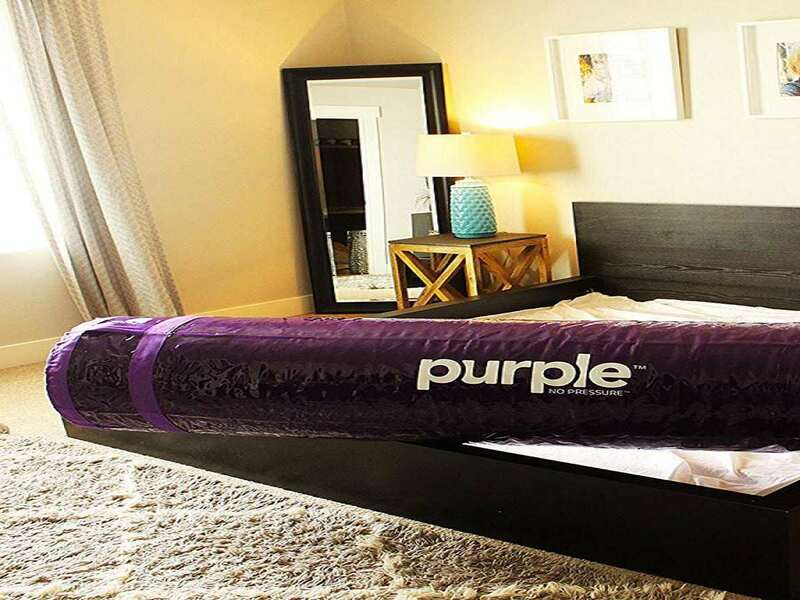 Purple Beds also deliver all nice and neat and vacuum packed into 74- to 144-pound cylinder right to your door.